The graphic that appears in your ring’s navigation bar/panel is (after the ring’s name) the most important means of identification. With this in mind you should take the chance to design the graphic so that it says something about your ring’s purpose and content. To conserve bandwidth and to ensure your graphic/s load quickly, you should make your ring’s logo and navpanel graphic/s as small as possible in file-size. You should also keep the physical size of the graphic on the navpanel to a small a size as possible (or provide several navpanel options), because some people are reluctant to join rings that have large graphics displayed on the navpanel (they take up far too much space on their web pages)! Some web ring systems place restrictions on both the navpanel graphic’s dimensions and/or file size, and the ring’s logo as displayed on the hub/list page. SiteRing – Maximum navpanel logo file size is NONE (loads from your website), and a maximum physical size of NONE. Logo on List page has a maximum logo file size of NONE (loads from your website), and a maximum physical size of NONE pixels. ICQ Rings – Maximum navpanel logo file size is ? ?, and a maximum physical size of ??. Logo on List page has a maximum logo file size of ? 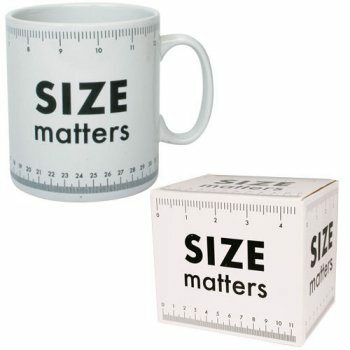 ?, and a maximum physical size of ?? pixels. PHP My Ring – Maximum navpanel logo file size is ? ?, and a maximum physical size of ??. Ringlink- Maximum navpanel logo file size is NONE (loads from your website), and a maximum physical size of NONE. Logo on List page has a maximum logo file size of NONE (loads from your website), and a maximum physical size of 250×250 pixels (or as determined by that Ringlink webring system’s manager). Ringsurf – Maximum navpanel logo file size is NONE (loads from your website), and a maximum physical size of NONE. Webring.de – Maximum navpanel logo file size is NONE (loads from your website), and a maximum physical size of NONE. RingMaker – Maximum navpanel logo file size is NONE (loads from your website), and a maximum physical size of NONE. WebRing – Maximum navbar logo file size is 4Kb, and a maximum physical size of 50×50 pixels. Logo on Hub page has a maximum logo file size of 25Kb, and a maximum physical size of 250×250 pixels. The standard graphic formats for the web are GIF, JPG and PNG. The sample graphics below illustrate how each file format is best used, the GIF and PNG files are all 8-bit and use a 256 websnap adaptive palette. PNG and GIF are best used for images with few colors or large areas of flat color. JPG is best used for photographs or images with complex colors and gradients. Macromedia Flash and SVG (Scalable Vector Graphic) are relatively new formats which offer very large savings in file size because they utilize vectors instead of bitmaps. Vector images store the image information as a mathematical formula whereas bitmaps store the information pixel-by-pixel. The drawback of vector images is that they require later versions of browsers and a special browser plug-in which not all people have (or want) installed. They also require a lot of processing power to render the image, Flash animations have been known to cause older computers to slow down or crash because of this. As a result their use is limited at the moment. So, Flash and SVG are not recommended for use as webring graphics. We’d like to thank Odisey.com for helping us with the logos, graphics, and design of this website!